Everything has a beginning and this one has evolved over time. 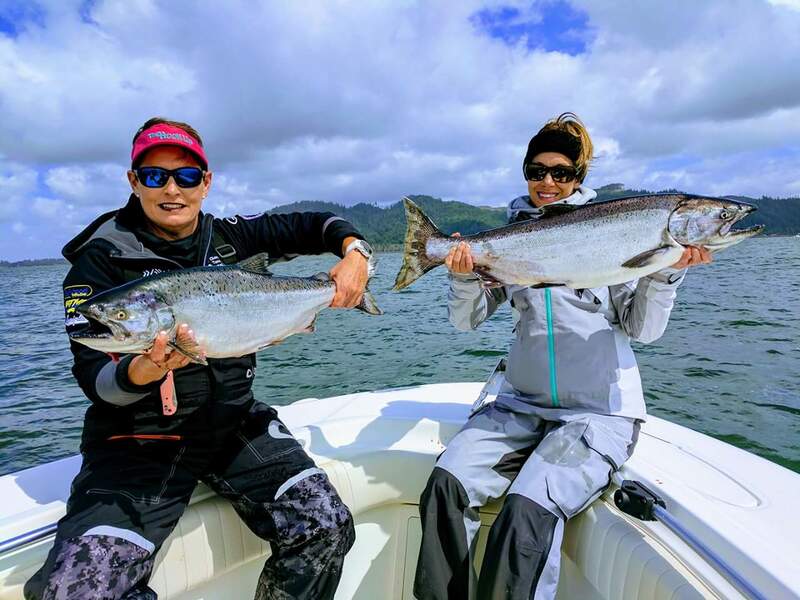 One day of exceptional salmon fishing on the Tuna Dog, with Captain Del Stephens and he coined the phrase “Lipstick Salmon Slayers” and proclaimed his female crew of Weddy Stephens and Megan Waltosz as its first members – it has stuck ever since. They love to get out on the water but the best part of that is bringing new friends out with them! Over time, as other ladies join in fishing on the boat and they too have become members of the Lipstick Salmon Slayers. This trio has been running the Oregon Tuna Classic Tournament Series for many years and are now bringing their passion and experience to organize this ladies’ tournament. This tournament is all about inspiring women to get together on the water and have a great fishing experience! Getting out there and empowering one another while also trying to see who can slay the biggest catch!!! This is an all ladies fishing tournament and with heart disease being the number one killer in women a portion of the proceeds will be going to the American Heart Association. Heart disease and stroke cause 1 in 3 deaths among women each year – more than all cancers combined. So let’s fish together and improve the lives of all women! A portion of the proceeds go to the American Heart Association. Help support women’s health by participating in the event.